Der Artikel Interactions in Early Childhood Education wurde in den Warenkorb gelegt. 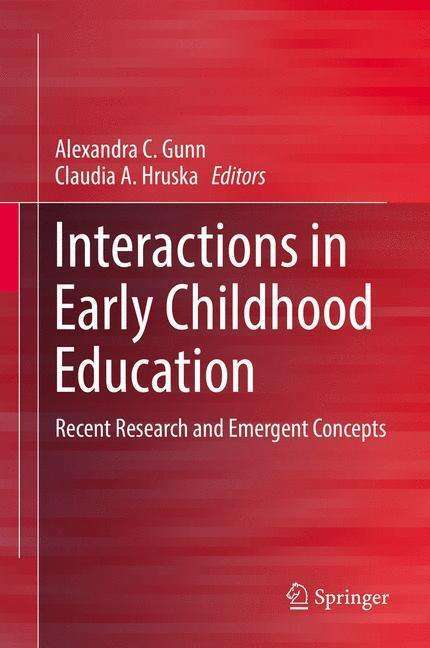 This book provides new insights into how interactions in early childhood education are being studied, and into what these studies' findings mean for improving the quality of early childhood education. The editors examine the methods, ethics, practices, and questions arising from such close work with children, families and educators, and have brought together a collection that highlights interactions research and practical implications for early childhood education and research, with the ultimate aim of shaping quality practices. 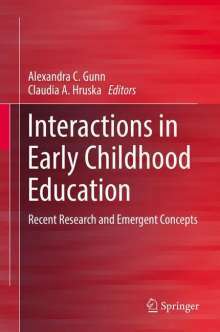 Starting with an overview of interaction research and its pedagogical value in early childhood education the book subsequently introduces new interaction studies in early childhood from Europe and Australasia. Drawing from a range of perspectives and using different conceptual and methodological tools the contributors use their interactions research to comment collectively on process quality in early childhood education, and its relationship to the phenomenon of pedagogical interactions. The work as a whole bridges the gap between practice and research by addressing quality interactions for early learning (for practitioners) and providing researchers valuable information on methods for studying interactions within the everyday contexts of early childhood education.